Garage doors require attention from time to time and lubrication is required on all the moving parts of the door opening mechanism. These parts include the springs, tracks, rollers and more, which can be lubricated easily with a garage door lubricant. The best garage door lubricant is the 3-IN-ONE Professional Spray that prevents any corrosion, unwanted noise and uses a smart spray for minimal mess. 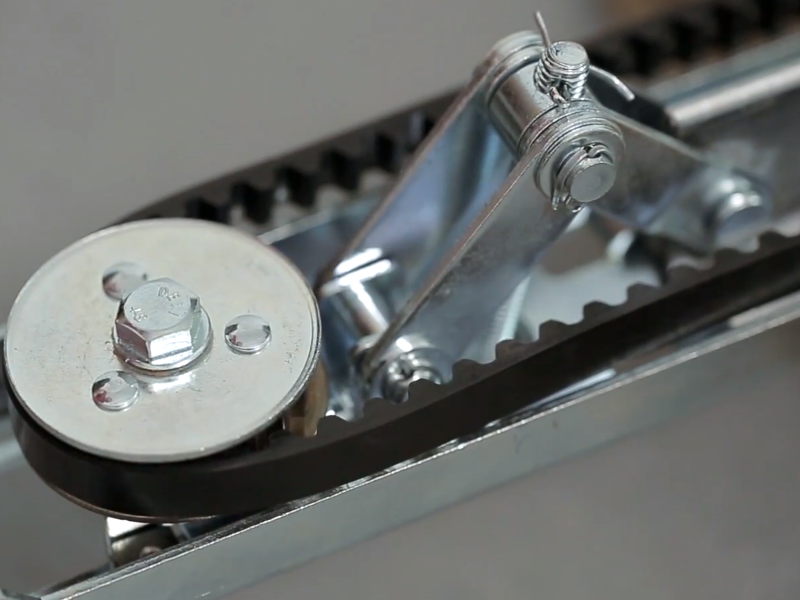 In terms of the moving parts, they include the torsion springs, pulleys, tracks, lock, bearing plates and hinges. Ensuring all these parts of the garage door are lubricated will reduce the effort required by the garage door opener. Any garage door lubricant that you use on the mechanism must have a low freezing and high boiling point. This ensures the lubricant stays a liquid form regardless of the temperature. On top of this, be sure to go for a lubricant that features rust prevention as the mechanism can corrode with age and poor conditions. Friction between the moving parts of the door opener mechanism will cause the breakdown of the components and an expensive repair. Lubrication will minimize the friction between the moving parts and prolongs the life of the door opener. Garage door openers that are under pressure or making irritating noises can be really frustrating. Below is a list of the best garage door lubricants that will ensure your door opening mechanism will remain fully functioning for much longer. The 3-IN-ONE garage door lubricant is one of the best options if you need a professional grade lubricant for your garage door. It works well on both residential and commercial structures and can be used on many different parts of the door. It’s very powerful and effective for keeping the mechanisms on your garage door working smoothly. Here are some of the features of the 3-IN-ONE professional garage door lubricant. This lubricant comes with a helpful smart straw feature that allows you to choose between a fan-shaped spray and a precision stream, which eliminates mess and waste. It starts working right away and lasts a long time. 3-IN-ONE is the best garage door lubricant on the market and is particularly effective for large scale residential or commercial garages. The WD-40 Specialist Lubricant is the best silicone lubricant option on the market. Silicone lubricants work best in areas that receive heavy rain or are exposed to lots of water, because they are water resistant. Silicone creates a protective layer that almost repels the water, preventing rust on your garage door. Here are some of the notable features of the WD-40 Specialist Silicone Lubricant. This formula is great to keep at home to protect your garage door because it is protective and easy to use. It sets down right away without any mess to clean up and keeps your garage door surfaces safe from damage. The WD-40 Specialist Silicone Lubricant is one of the best choices for keeping both water and debris away from your garage door. The Liquid Wrench L112 is the most popular lubricant for garage doors on the market. Oil is more slippery than silicone or other types of lubricant, so it is a good choice if you are mainly concerned about the mobility of your garage door. It loosens up any parts that have gotten stuck in your garage door’s opening mechanism. Here are some of the features of the Liquid Wrench L112. If you need to increase the mobility on your garage door, the Liquid Wrench L112 is one of the best choices. It will remove rust and grease to get your garage door opening and closing smoothly. It’s also very clean and easy to apply, which is also a good added bonus. The Blaster garage door lubricant is specifically designed for use in the garage and is made using a silicone formula. The formula is enhanced with Teflon, so it’s very heavy duty and will help your garage door run smoothly very quickly. It is also one of the best formulas on the market for removing irritating and uncomfortable noise from your garage door. Here are some of the notable features of the Blaster garage door lube. 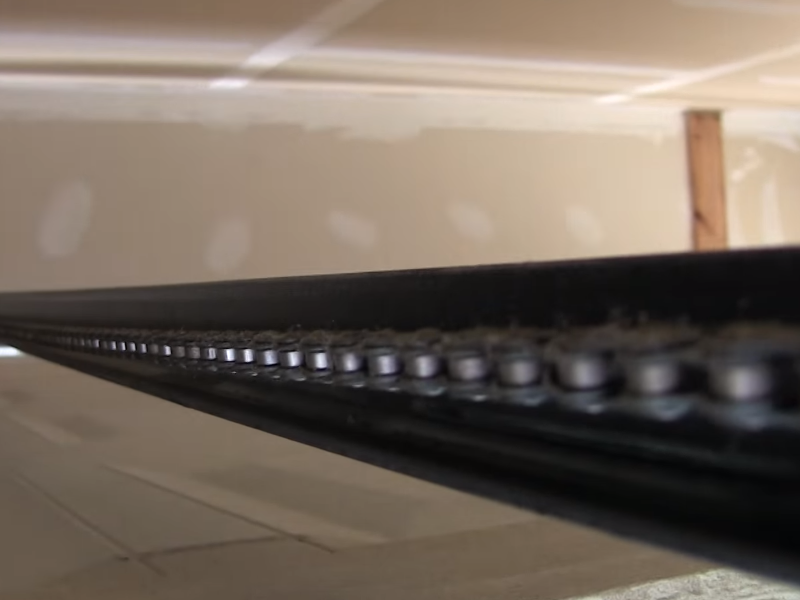 Blaster is the best option for reducing noise on your garage door. It works well on many different types of surfaces and protects the garage door as well. The thick layer of silicone will stay in place for a long time, so you get good value for money. The Genie Screw Drive Lube is the best option for keeping your screwdriver primed while you’re doing repairs, and it’s designed specifically for use with Genie doors. The Genie garage door openers are different from other types of garage door openers, so it’s best to use this kind of lubricant to treat your garage door. Here are some of the features of the Genie Screw Drive Lube. The Genie Screw Drive Lube is the only product that is recommended for use with the Genie garage door opener systems. It should be applied once per year to keep the garage door opener mobile and prevent rusting and unpleasant squeaking noises. The small tube packaging makes this product very easy to apply, and you have total control over how much product you’re using to prevent waste and mess. Your garage door needs to be able to run smoothly to provide the best possible performance. A good lubricant can help address potential mobility issues, particularly in the winter when the wheels on the garage door freeze up. The last thing you want to have to worry about on a cold day is getting your door open. You should put lubricant on your garage door regularly to keep it moving easily without noise or resistance. 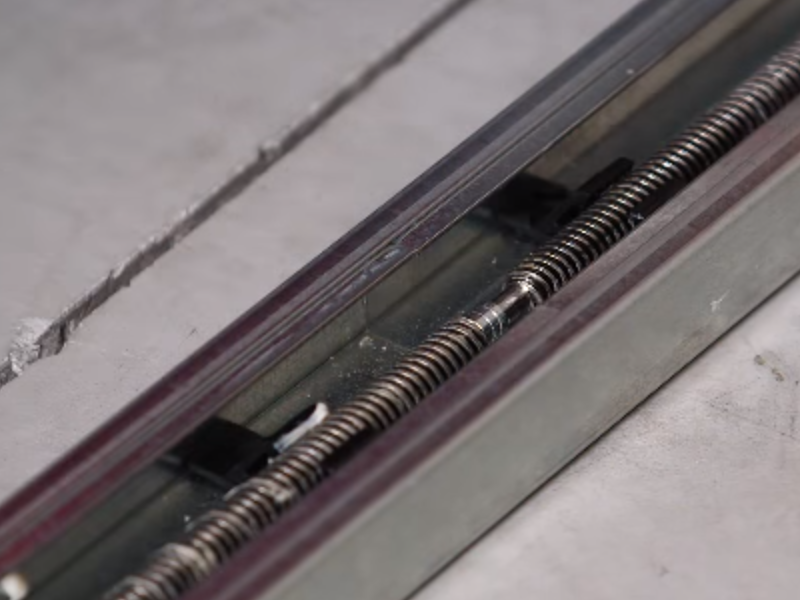 In particular, the garage door springs, garage door tracks, and garage door rollers need to be lubed up somewhat frequently for the best possible performance. There are many different types of garage door lubricants available, so it can be difficult to decide which one to use if you’ve never purchased one before. Here’s what you should look for in a garage door lubricant. There are a few different ingredients that are commonly used in garage door lubricants. All of them are effective, but each has a different purpose when it comes to treating metal. Silicone is one of the most common substances used in garage door lubricants. It has a nice, slippery texture that isn’t too runny, so it won’t drip down the side of your garage door and will stay in place. It also results in a gliding motion when the parts of the garage door pass between one another. Grease is another type of lubricant. It has a much more oily consistency, so it makes the lubricant a bit stickier. Grease on its own isn’t always the best solution for a lubricant, but works well when combined with other substances. Lithium is the final substance that is often used in garage door lubricants. It isn’t quite as slippery as silicone, but it does stay on for a very long time. Many lubricants also use a combination of these three ingredients to create their own unique formula. When investing in a garage door lubricant, you should make sure that you are getting good value for money. This means you need to look at what comes in the canister and how potent it is. You should get an idea of how many uses are in the canister to determine what the true value is. Sometimes a more expensive product is a better purchase because the cost per use ratio is better. Since garage door lubricants are a chemical product, you should always make sure that they are compliant with environmental and manufacturing regulations. Most lubricant brands are conscious of environmental and safety issues and take initiative to create products that are compliant. However, not all brands are compliant with all regulations. For example, California has much stricter environmental laws than other US states, and regulations are different in North America than they are in Europe. Check to make sure that the lubricant you are interested in is legal in your state. If you live in a place with harsh winters, it is paramount that you choose a product that is designed for this type of weather. Some lubricants will get very tacky in cold weather, which will actually defeat the purpose of the product. Look for a lubricant that is designated specifically for use in the winter and will maintain a slippery texture to reduce friction between the parts of your garage door. A smart straw is a feature that some canisters include that reduce waste and make the lubricant cleaner to apply. A smart straw allows you to have better control when you are spraying, so the lubricant, so that it won’t get anywhere except for where you intend to put it. This allows you to get more value for money out of the canister because it reduces waste so drastically. Although a smart straw isn’t an essential feature, it is very helpful and something to look for if you aren’t sure which lubricant to choose. Some garage door lubricants have a very unpleasant smell. Look for an option that has a smell that you can tolerate to make the application process a bit more pleasant. Usually lubricants without too many harsh chemicals are going to smell less abrasive than lubricants that do contain strong chemicals. The texture of the lubricant actually makes a big difference in how effective it is going to be for your purposes. For example, if the lube is too runny, it will drip down your garage door instead of hitting the areas where it is most needed. If it is too sticky, it could attract dirt and dust, which can actually cause more damage to your garage door. Look for a product that has a texture somewhere in between these two for the best results. Avoid over lubricating because it will drip on the floor and if you have fresh garage floor paint on the floor instead of a concrete floor, it will be very slippery. Rust is a common problem that many homeowners experience on their garage doors. It can damage the parts of the door over time, and it’s also unsafe and unpleasant to look at. Many garage door lubricants can actually dissolve rust to prevent damage and help the parts on your garage door last longer. Look for a lubricant that can dissolve rust and leaves a protective layer over your garage door parts to keep everything lasting for a long time. A good garage door lubricant can save you hundreds or thousands of dollars in repairs down the line. You may be able to use car rust prevention spray but a lubricant that specializing in garage doors is the far better option. Putting lubricant on your garage door can be somewhat time consuming, so it’s best to choose an option that will last for a long time. A long lasting lubricant will keep your garage door springs and garage door rollers working smoothly for several months or even longer without any touch ups. This helps the bottle last longer and keeps your garage door working damage-free for a long period of time as well. Not every garage door is made out of the same type of material, so it’s helpful to choose a lubricant that is safe to use on many different types of materials. This is particularly important if you have metal parts on your garage door opener, but the rest of the door is made of another material, such as vinyl. Most lubricants will list the different surfaces they are safe for use on so you can choose the best option. A garage door lubricant is a very helpful tool to keep in the garage to ensure that everything runs effectively. It prevents damage and rust over time, and will also get rid of frustrating squeaking noises. If after applying the garage door lubricant you are still hear noises, you can try using a garage door insulation kit. What this does is help keep heat in during the winter season and heat out in the summer season. However, it also acts as sound proofing too, which is a good option in case the lubricant cannot remove the noise. There are many different types of lubricants on the market, and the type you ultimately choose will likely depend on what your priorities are. Use our guide to help you decide what the best type of lube for your needs is and then pick a high quality product.